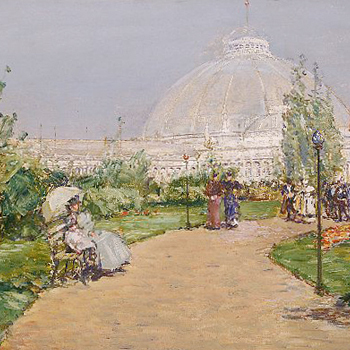 The Taubman Museum of Art is pleased to present American Impressionism in the Garden, a special ticketed exhibition featuring significant paintings and sculptures on view for the first time together by renowned American artists who celebrated gardens as a compelling subject during an era of vibrant gardening culture. 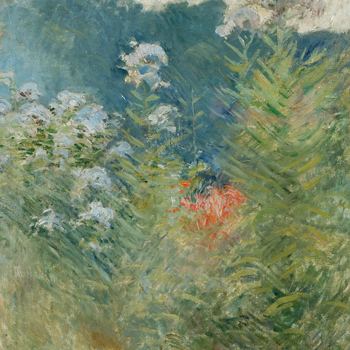 Organized by the New York Botanical Garden with significant additions by the Taubman Museum of Art, the exhibition explores the tremendous impact of the Impressionist art movement on American artists at the turn of the 19th century. Their embrace of Impressionism's brilliant palette and vibrant brushwork inspired these artists to create masterful images of the American garden - both public and private. The American Garden Movement, in turn, nurtured popular appreciation for gardens, creating a large and enthusiastic audience for these beautiful paintings well into the 1920s. 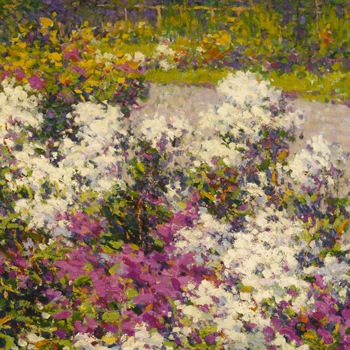 American Impressionism in the Garden features 30 paintings and sculptures by renowned American Impressionist artists who captured the colors and the ephemeral quality of light observed in the garden world. 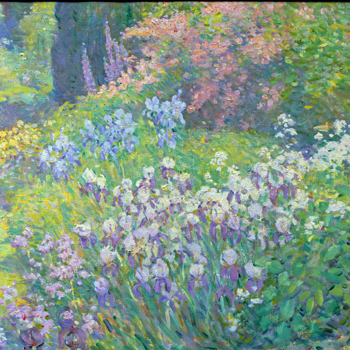 Visitors will enjoy classic garden plantings such as irises, peonies and hollyhocks painted by iconic artists including John Henry Twachtman, Frederick Childe Hassam and John Singer Sargent, as well as sit-and-sketch plant specimens in the exhibition’s drawing gallery. American Impressionism in the Garden was initiated by The New York Botanical Garden in Bronx, NY, and was curated in part by Linda S. Ferber, Ph.D. Travel of this exhibition is made possible by the National Endowment for the Humanities. Major support was provided by National Endowment for the Humanities: Exploring the human endeavor, as well as the LuEsther T. Mertz Charitable Trust, National Endowment for the Arts, New York State Council on the Arts with the support of Governor Andrew M. Cuomo and the New York State Legislature, and Gillian and Robert Steel. Any views, findings, conclusions, or recommendations expressed in this exhibition do not necessarily represent those of the National Endowment for the Humanities. 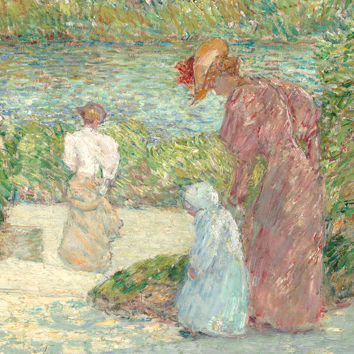 The Taubman Museum of Art’s presentation of American Impressionism in the Garden is made possible in part by the generous support of Sally and Walter Rugaber; Member One Federal Credit Union; WDBJ7; The Roanoke Times; the National Endowment for the Humanities; the Virginia Tourism Corporation and Virginia Is For Lovers™; the National Endowment for the Arts; and the Virginia Commission for the Arts. This special ticketed exhibition is on view in the Taubman Museum of Art’s Special Exhibition Gallery February 19 - May 14, 2017, with a member preview on February 18.